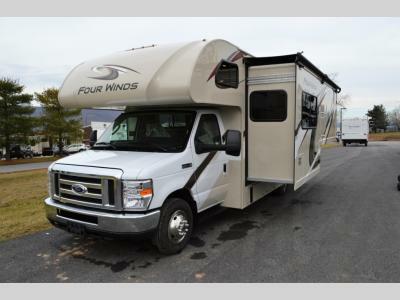 The Four Winds Class C gas motorhome by Thor Motor Coach sets a new standard of comfortable living in many different ways. 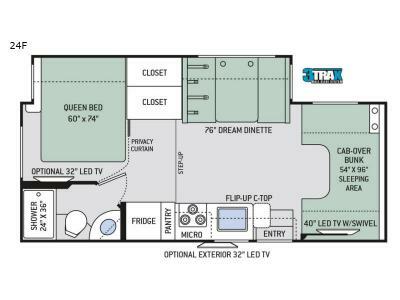 Not only are these motorhomes ultra affordable, but they are also completely beautiful and decadent! 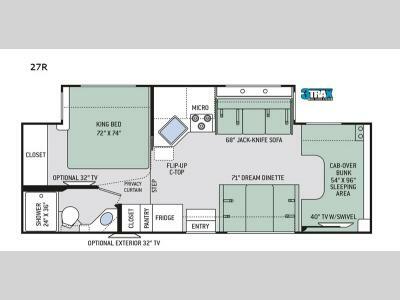 Based on your family size and travel needs, it's easy to find a floor plan that's right for you. 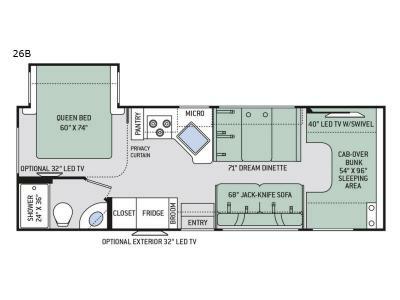 Each model provides a premium one-piece TPO roof, a slick fiberglass exterior with a standard graphics package, and flush-mount radius compartment doors. Plus, several models have the choice between a Ford E-Series or Chevrolet chassis. 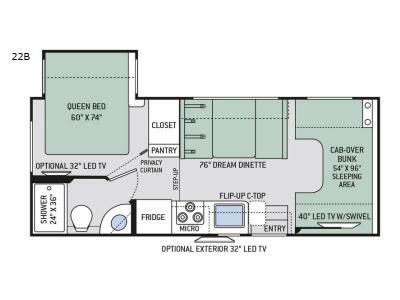 You will also appreciate all of the hard work that has gone into creating an elegant and modern interior with a 7' ceiling height, high-sheen cabinetry, a skylight above the shower, and LED lighting. 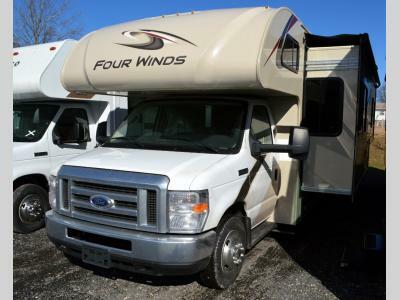 It's easy to see that nothing else quite measures up to these Thor Motor Coach Four Winds Class C gas motorhomes in comfort, quality, and value!